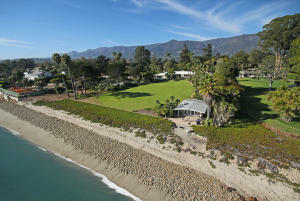 Detailed information about each Montecito beach community follows. 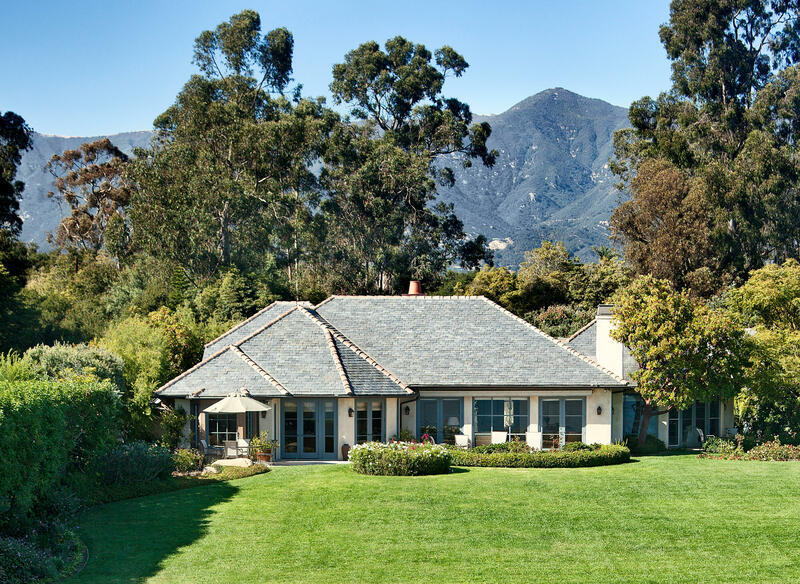 The premier beachfront address in Montecito is Fernald Point Lane, where many of the beach homes occupy multiple acres of mature trees and lush vegetation. 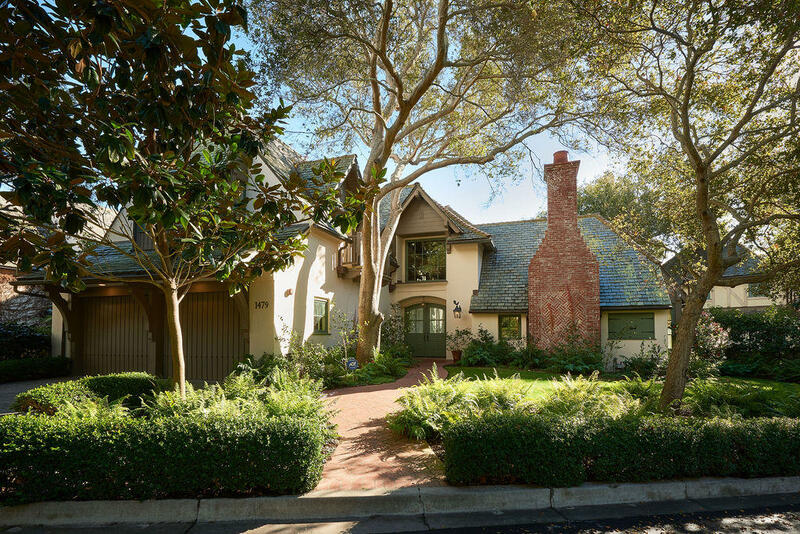 Fernald Point Lane is mostly a public road, but beyond the “Point” the coastline creates a serene easterly facing cove, and the road to homes on the cove is private and gated. The Fernald Point Lane beach is sometimes rocky, but given the beauty of the landscape, it is still a pleasure to stroll along. The beach is a continuation of Miramar Beach, which is very accessible to the public. The very deep lots afford Fernald Point homeowners privacy from the beachgoing public, as many of the homes are set significantly back from the beach, giving them a certain elegance and stateliness lacking on other beaches. Fernald Point Lane is in the extremely desirable Montecito Union School District. 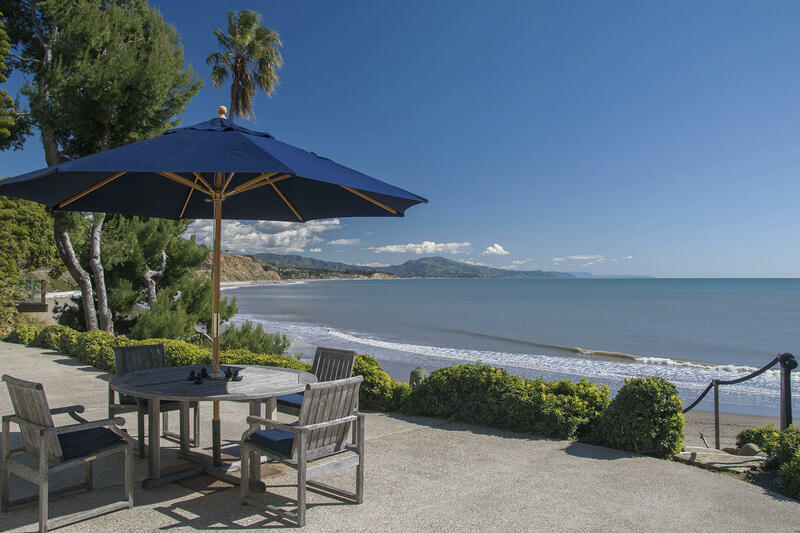 The shopping and dining of both the Montecito Upper Village and Coast Village Road are only about a mile away, making Fernald Point Lane one of the most convenient beaches upon which to live. 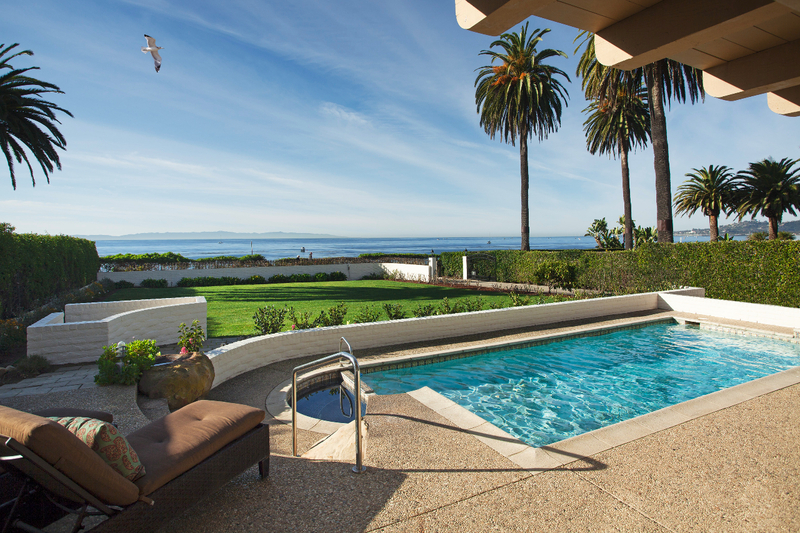 The casual ambiance of Miramar Beach has been enjoyed by generations of Montecito families since its early development in the 1920’s. Twenty seven cottages are snugly wedged together on the sand and many remain the original single wall construction redwood day cottages built as play houses for the major Montecito estates. To say that Miramar homeowners are a close knit community is no understatement: some homes are literally only inches apart and have been known to rattle against each other during the occasional earthquake. Also, some of the lots are surprisingly narrow ~ one three story home is built on a lot that is only eleven feet wide! Miramar Beach was home to the famous blue roofed Miramar Hotel. The redevelopment of that property is expected to be completed in 2018 and will be called the Rosewood Miramar Beach Montecito. 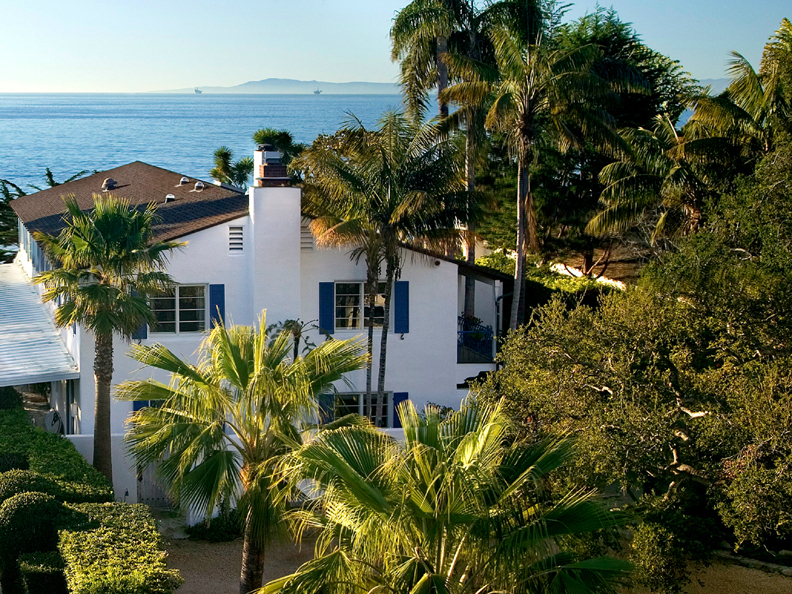 Miramar Beach’s very gentle slope into the ocean makes it a family favorite. Public parking is available on nearby streets as well as the small parking lot at the top of the ramp and stairway that lead to the sand. For the public, Hammond’s Beach is accessed by way of a dedicated trail that meanders through some of the most expensive beach real estate in Montecito. 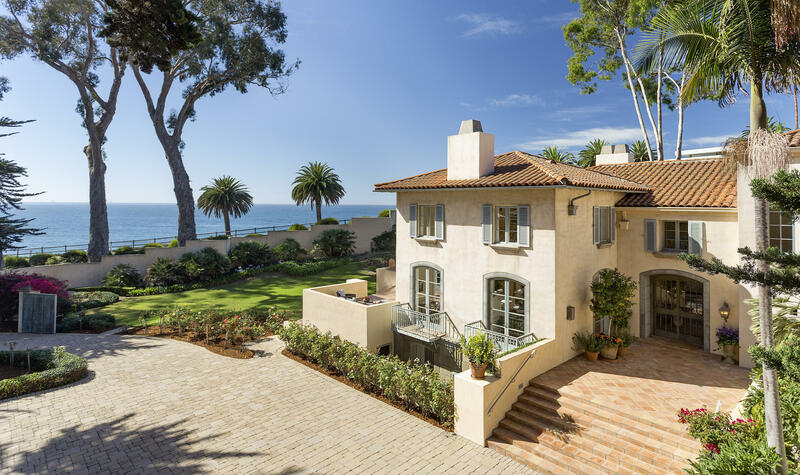 Homeowners delight in the relative difficulty the public has in accessing their quiet and sandy beach, from which they can easily stroll to the the Four Seasons Biltmore Hotel and Coral Casino. 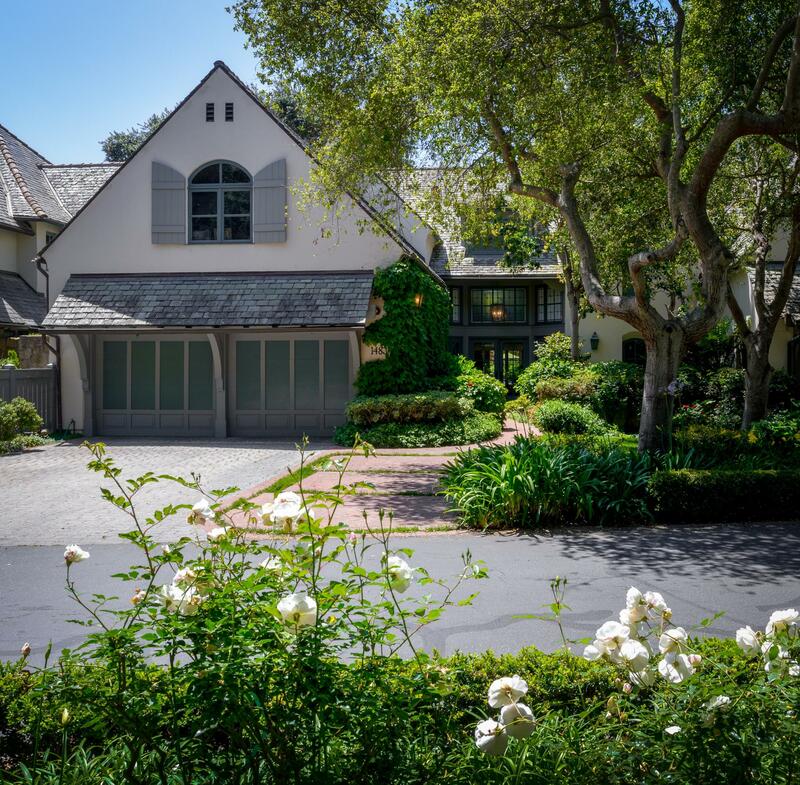 There are three residential communities that are situated at Hammond’s Beach: Edgecliff Lane, Sea Meadows and the Bonnymede/Montecito Shores condominium enclave. 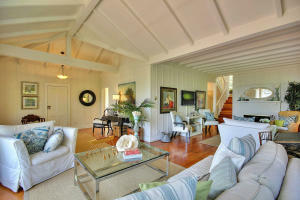 Gated and private, Edgecliff Lane includes only six major beachfront estates. 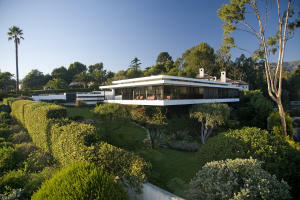 The highest sale to date along Edgecliff Lane occurred in February 2005 for $22,000,000. 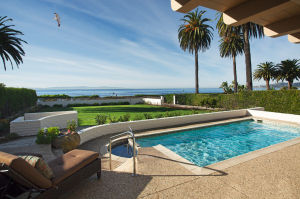 Bonnymede and Montecito Shores are adjacent guarded and gated luxury condominium complexes that front on Hammond’s Beach and are directly across the street from the world famous Four Seasons Santa Barbara Biltmore Hotel. 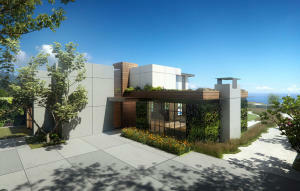 Detailed information regarding these complexes can be viewed at www.MontecitoBeachCondos.com. 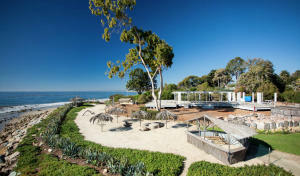 The world famous Four Seasons Biltmore Hotel and its private spa, the Coral Casino, anchor the eastern end of Butterfly Beach in Montecito, while the Santa Barbara Cemetery rests peacefully on the bluff at the western end. 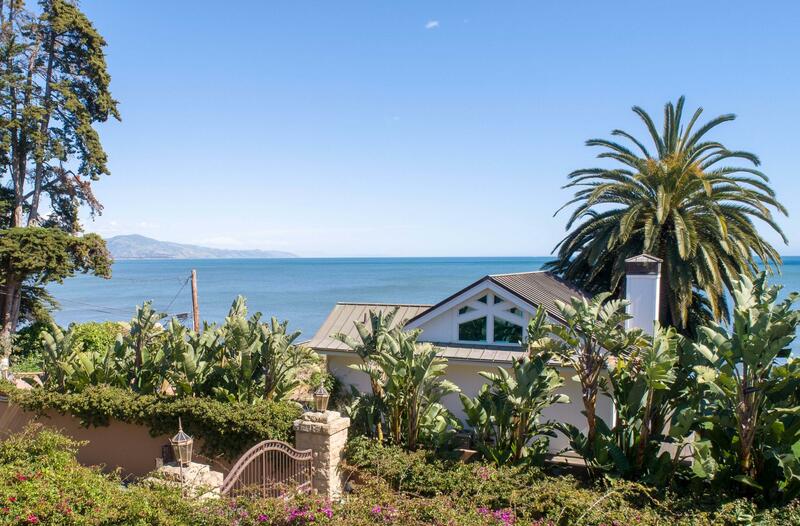 In between, the homes along Channel Drive and Hill Road view the ocean from just across the street from Butterfly Beach and the estates along Fairway Road enjoy bluff-top views with only a pedestrian and bike path between their gardens and the sea. The renown Music Academy of the West on Fairway Road is just a stone’s throw from Butterfly Beach. Ty Warner, the Beanie Baby mogul, is playing Monopoly along Butterfly Beach. 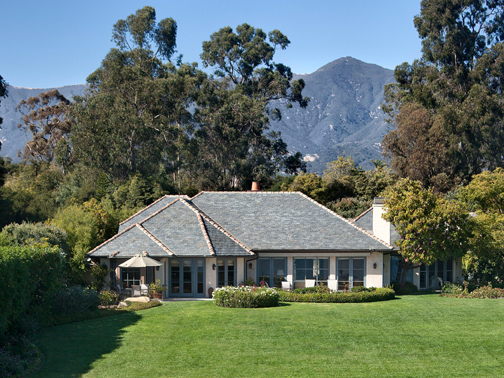 His personal residence is on muliple acres on Fairway Road. He is also the owner of the Biltmore Hotel and Coral Casino, the Montecito Country Club and the famed San Ysidro Ranch among other local trophy properties. Indeed, millions of adorable little stuffed animals have given their shelf lives to create a Butterfly Beach real estate empire! 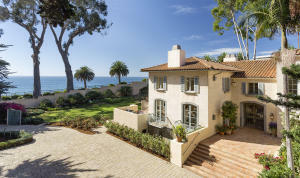 The disadvantage of homeownership along Channel Drive is the public parking along, and the inconvenience of having to cross, the street to access the beach. But homeowners greatly enjoy strolling down the block to dine at the world class Biltmore Hotel or to have a swim at the Coral Casino, or walking just up the road to listen to excellent recitals in the elegant gardens of the Music Academy. Click on the following map to enlarge it and view the location of all sales in Montecito that have sold since 2000. Properties that are multi-colored have sold more than once during that time and their sales can be tracked by looking at the various colored years.